Nothing is more fundamental to life than water – and this is particularly evident in a country like Egypt, which has been aptly described by Greek historian Herodotus as the “Gift of the Nile”. 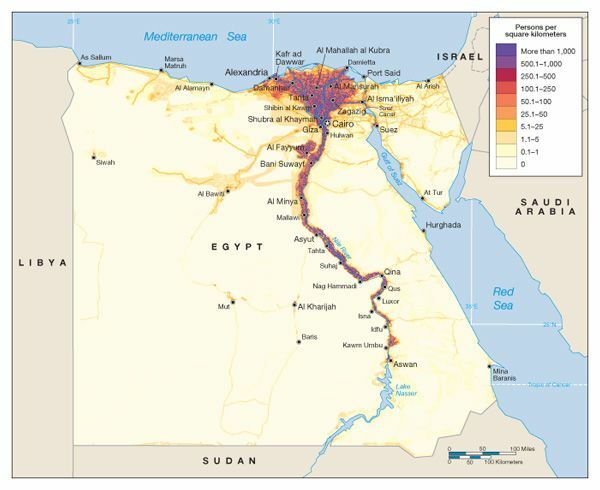 The Nile isn’t alone in creating the right conditions for life. Rivers of all sizes help form the world’s watersheds, and together they comprise a “circulatory system” that pumps life into every corner of the globe. Today’s stunning maps, via geographer Szűcs Róbert, divide our planet’s watersheds into colorful catchment areas, and provide an informative look at how water flows across continents. Grade school physics teaches us that liquid water will take the most available path of least resistance. Sometimes though, that most available path can take water from mountains clear across a continent before reaching an ocean. Nowhere is this more evident than in Peru, home of the glacier-packed Cordillera Blanca. As rain and meltwater begins flowing from the peaks of the Andes Mountains, there are two diverging paths to the ocean. The journey to the Pacific Ocean is a quick one, and there are small rivers at regular intervals along the coast of Peru. Without the Andes acting as a backstop for rain, the Amazon rainforest would not exist in its current scale and form. 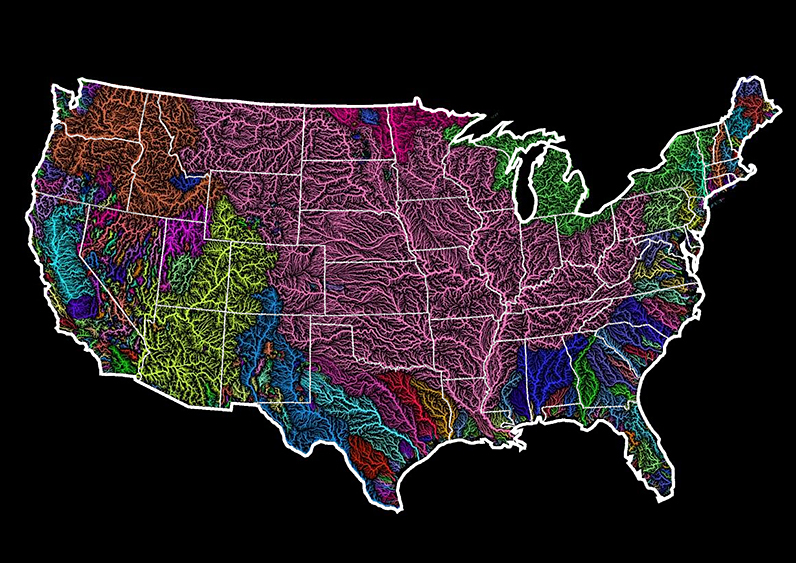 In the United States, the dominant drainage basin is the Jefferson-Mississippi-Missouri River system (shown in pink on the map above.) This massive basin collects water from over 40% of the contiguous U.S., and comes into contact with two Canadian provinces and 31 states before terminating at the Gulf of Mexico. The Amazon discharges far more water than any other river on earth, dumping more water per second into the ocean than the next four largest rivers combined. That makes the Amazon a clear winner in this category. In fact, there are multiple rivers that cover massive drainage areas. This includes the Congo in Africa, as well as the mighty Mississippi, which is neck-and-neck with the Nile. For more, view the full collection of maps here.